What is turquoise gemstone ?A: Turquoise is found in only a few places on earth: dry and barren regions where acidic, copper-rich groundwater seeps downward and reacts with minerals that contain phosphorus and aluminum. The result of this sedimentary process is a porous, semi translucent to opaque compound of hydrated copper and aluminum phosphate. There're natural Turquoise and Synthetic Turquoise stones for the jewelry designs on the market. In recent years, the Turquoise color stones in diamond faceted cut is becoming more and more popular. Nano Turquoise color Gemstones is one of them, Nano gemstones is heat resistant, no problem for the casting and wax settings. Another cheap Turquoise color faceted cut Gemstones is made of Glass Gemstones. 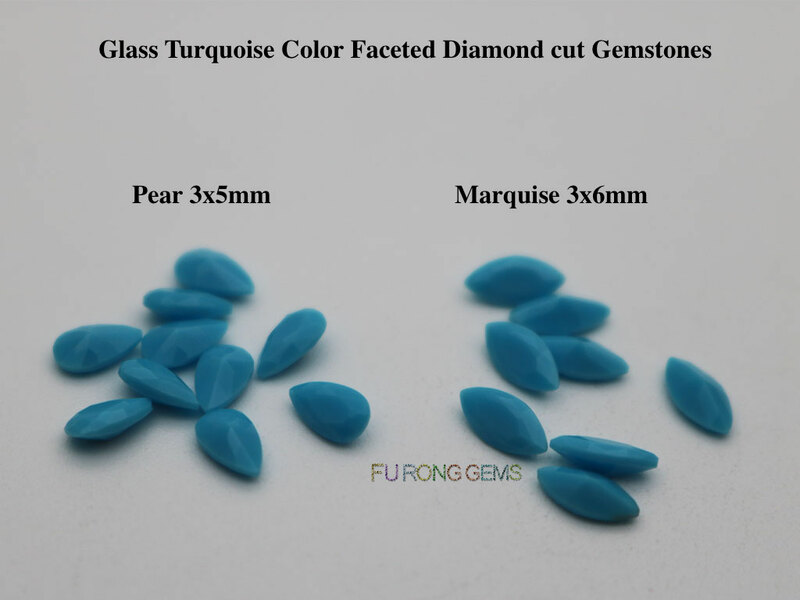 These glass turquoise color stones can be made as the fancy shapes like the diamond cut stones, Oval, pear, marquise, etc. and the pricing is cheap. it's a good option for you to design your jewelry. Contact us today, to get high quality of Glass turquoise Color Faceted Diamond Cut Gemstones from china suppliers and wholesaler. 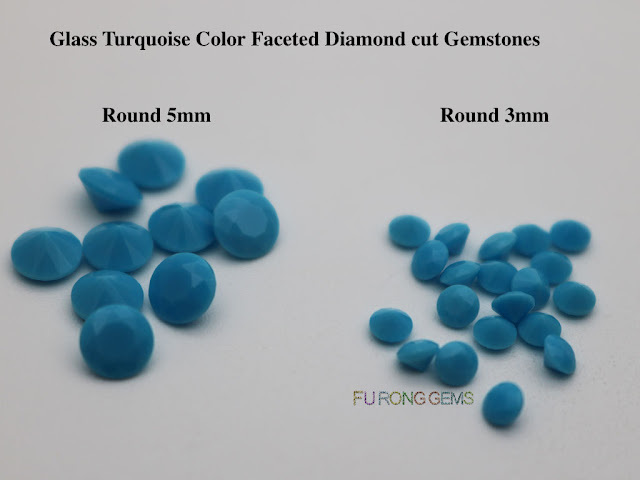 0 Respones to "Glass turquoise Color Faceted Diamond Cut Gemstones Wholesale from china"